Nehal has the energy of a live wire and infuses optimism with her positive outlook. She believes strongly in the power of volunteering especially by youth like herself. Born with thalassemia - a genetic blood disorder - she needs to undergo blood transfusions to survive. 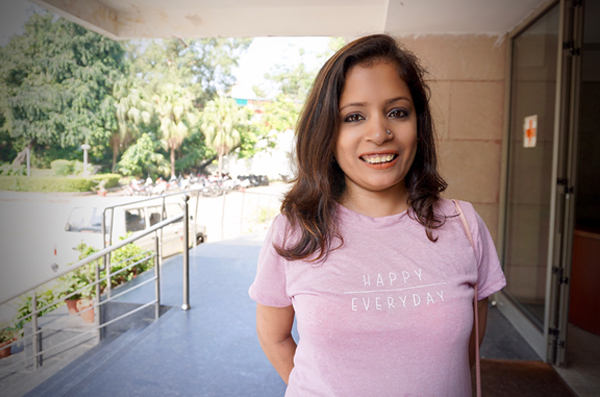 “My parents discovered that I have thalassemia when I was very small and they have conditioned their lives around the challenges and realities that this brings in. 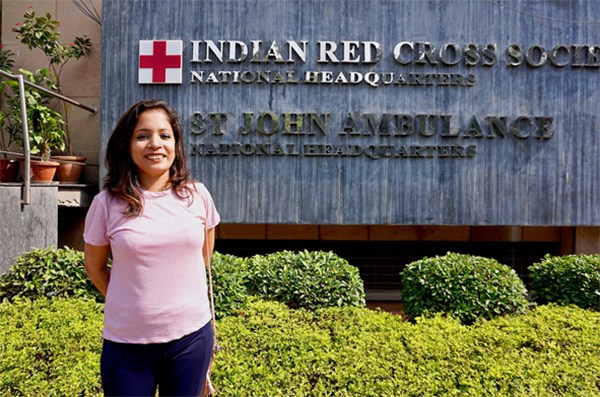 I now receive blood transfusions twice a month,” says Nehal as she waits for her father to collect blood from the Model Blood Bank that Indian Red Cross Society (IRCS) runs at its National Headquarters in Delhi. She is scheduled for a visit to a state-run hospital for transfusion later in the day. The 29-year-old loves to engage and talk. She is always ready to share about many things that she manages despite getting exhausted because of her condition. “I am a student counselor. This role is ideal for me as I love encouraging students through their difficult times. The joy of working for a cause and making a difference is something that I constantly drive them to think about,” she adds. Neha is part of a patient advocacy group, supported by IRCS, that works towards highlighting the rights and needs of thalassemia patients. Life with thalassemia can be very limiting and expensive in terms of healthcare costs. Nehal is also the driving force and inspiration for her parent’s initiative of organizing blood donation camps in different parts of Delhi in association with IRCS. “We started in 2005 and have been at it since then, involving our friends and relatives as well,” she shared with excitement. Neha represented IRCS at the launch of the International Youth Campaign on Kindness for the Sustainable Development Goals held on 2nd October at Indian Habitat Centre New Delhi.